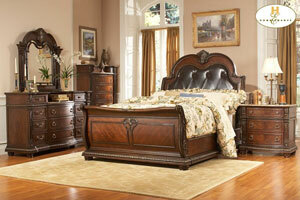 The Palace Collection exemplifies the best of Old World Europe. Egg and dart moldings, rope twists, acanthus and tobacco leaf carvings and florets accentuate each piece; the Palace Collection has it all. These many exquisite details married with a rich brown finish on cherry veneers with gold highlights combine to create an ideal European environment worthy of the nobles of yesteryear and the sophisticated homeowner of today. Bring Europe home with the Palace Collection. 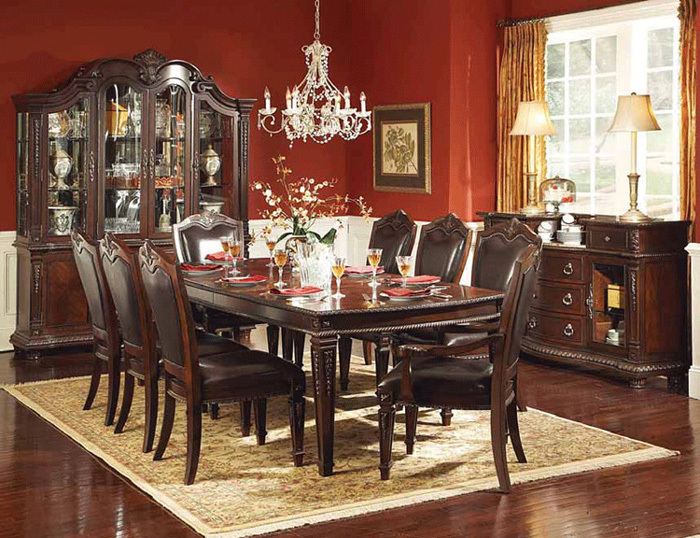 Homelegance is an international manufacturer and importer of home furniture with a wide assortment of the best dinning room furniture. 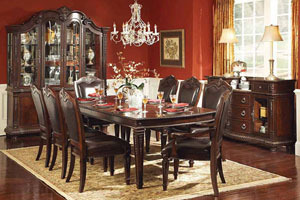 Home Elegance offers the highest quality, the best value, the newest design, and the most satisfying furniture experience for the price/category of merchandise offered. Wide selection of Dining Collections, Occasional Collections, Sofas and Chairs, Entertainment and Home Office, Youth, Accessories, Bombes, & Curios - everything you need to furnish your home. If you see an item you would like either write the model number down or print that item out and bring it in.